We'll be spending 30 minutes each day throughout June following the list of activities sent to us by the Rewild team. The aim of the activities is to help us to learn simple ways to express our wild sides in new and unexpected ways - can't wait to get started! We sat under this ornamental plum tree for 30 minutes and looked up at the sky, the dappled sunlight glowing between the leaves. I was suddenly aware of how loud the birds were singing and I realised that the headache I'd had all day had gone. I actually spent the whole day barefoot today. The others joined me for a few minutes. 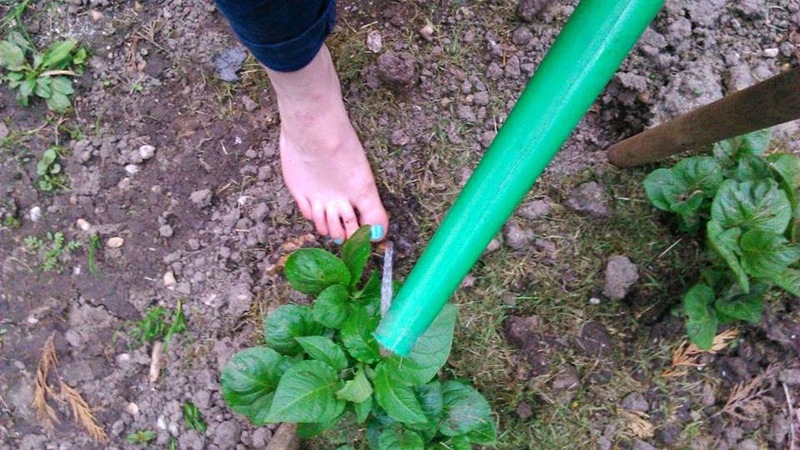 I even watered the vegetables barefoot! The cold water felt refreshing on the tops of my feet, the mud was squidgy underneath! Today's challenge was to concentrate on a small area and notice the different plants, insects, textures and colours. We spent the day at home, so I went into the garden and watched this bumble bee busily gathering pollen from a clump of chives. I don't think he noticed me at all. Looking out to sea always makes me realise how small I am, and how big the world is. (The English Channel at Hastings, East Sussex. Sunset). We are on holiday by the sea at the moment, so what better animal to choose than the common seagull! It wasn't difficult to spend a few minutes squawking at the top of my voice, flapping my arms aggressively and circling the bins like a scavenger! I love this! I'll have to sign up for next year's challenge!